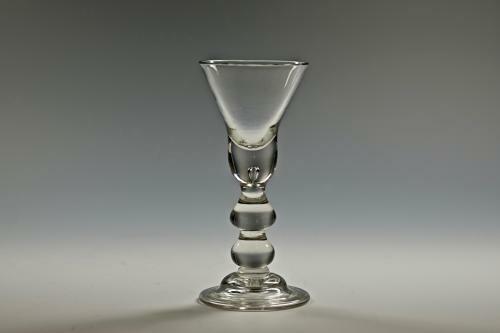 Heavy baluster wine glass with bell bowl, teared solid base above two drop knops and basal knop. Domed and folded foot. English C1715/20.